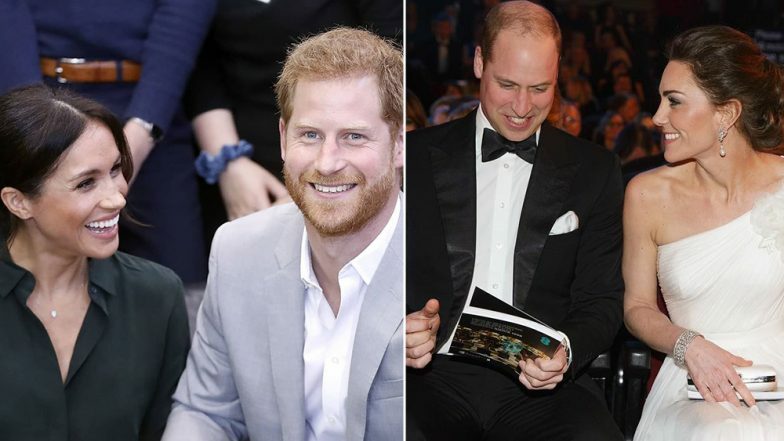 The Royal Family is in turmoil as Prince William and Prince Harry are reportedly all set to split their Royal household within a few weeks itself. Last year, several reports surfaced about Prince Harry and Prince William looking for a formal division common royal household which is currently held at the Kensington Palace. Apparently, the decision came after the increasingly different personalities, the two princes share. Rumours have also been rife about tiffs between Prince Harry's wife Meghana Markle and Prince William's wife Kate Middleton. For several weeks now, the Meghan-Kate feud is being reported in the news and it seems that things may be going out of hand after all. One of the key effects this division will result in is the splitting of the media team that handles both Prince Harry and Prince William. There will be separate staff allotted at both households. Prince Harry And Meghan Markle Might Not Be Able To Celebrate Valentine's Day Together - Here's Why! Reports also stated that once Prince Williams becomes Prince of Wales, he would be assuming a much bigger responsibility as opposed to Prince Harry and Meghan who seem tpo be looking forward to forging their own way ahead. After the split, Prince Harry and Meghan Markle will be moving out and staying at Frogmore Cottage on the Windsor Castle estate. They will be moving into the new place ahead of the birth of their first child in April. Royal Family Christmas Cards 2018: Prince William, Prince Harry, Prince Charles Release Official Holiday Images; View Here. Despite all these changes happening, we are sure England will be equally thrilled to welcome the new Royal Baby of the Duke and Duchess of Sussex. Also irrespective of the split, the Duchess of Cambridge will continue to work with the charity of the Royal Foundation that the four of them run together. The last time we spotted the four together was during Christmas last year.